Want to create Superbad villains? 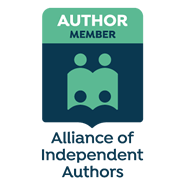 Subscribe now to my mailing list for a FREE 17-page cheat sheet, the latest in the self-publishing industry news, exclusive content, awesome writing tips and info on the best new writing tools and books as well as news on my upcoming books. I am Sacha Black… and these are my memoirs! Who is Sacha Black anyway?? I am your average Jane… Except that I am far more angry, (usually infuriated) overly impatient, totally indignant… Ohh and a lesbian! Expect hypocritical wafflings, spontaneous rants, lengthy soap box sessions, some double standards, and hopefully a good laugh at my harassed life! I am so liberal that I swing to the left, and sometimes right back round to the right. Don’t expect me to declare a an affiliation. I won’t. Today I might think one thing. Tomorrow I’ll change my mind! Stubborn right down to the blackest depths of my heart. I’ll play devils advocate and probably fight to the death over it…! Should have followed the dream. Didn’t. Now I’ve forgotten what it was!